A good three years after I bought them these obscene Topshop leggings are still going strong. 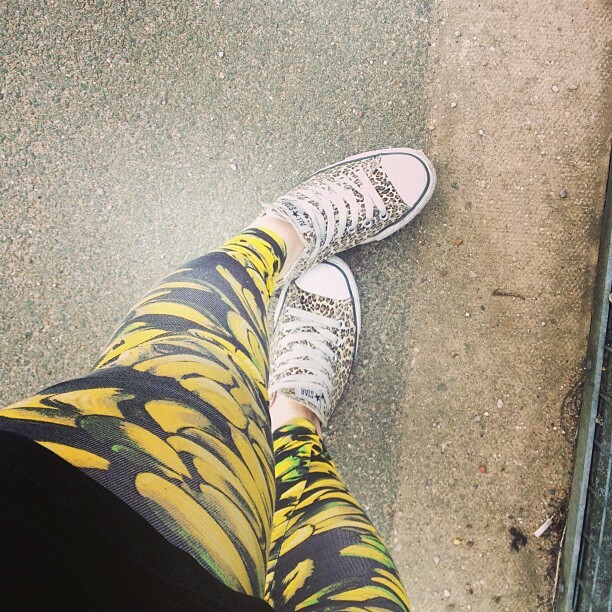 I must own at least 20 pairs of printed leggings (they're one of my addictions, along with pizza, dark chocolate peanut butter, ice cold Marlborough sauvignon blanc (my favourite) and really good steak) but these are definitely in the top five. 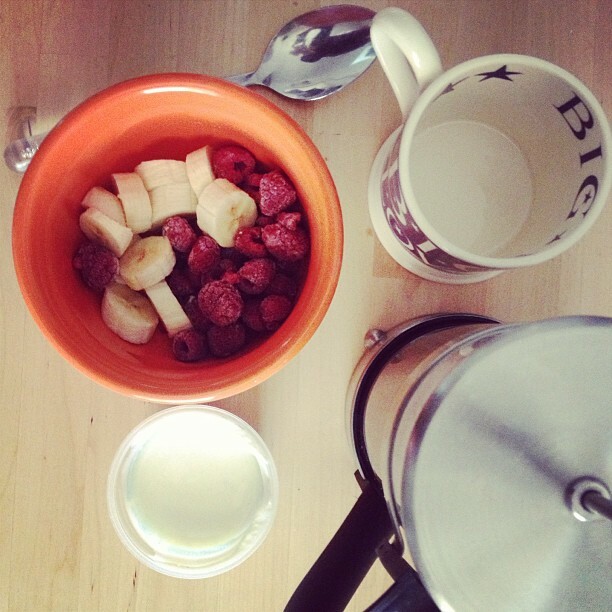 Frozen raspberries, sliced banana and coconut yoghurt are my new jam. Along with a huge cafetiere of Taylor's Lazy Sunday, obviously. With Glastonbury a mere seven weeks away (and with the need to squeeze into my denim shorts becoming ever more pressing) I'm eating fruit and vegetables like they're going out of fashion. Although I wish someone would tell my skin that as I appear to have become a teenager again. More rug love. I can't help it, I'm totally smitten. 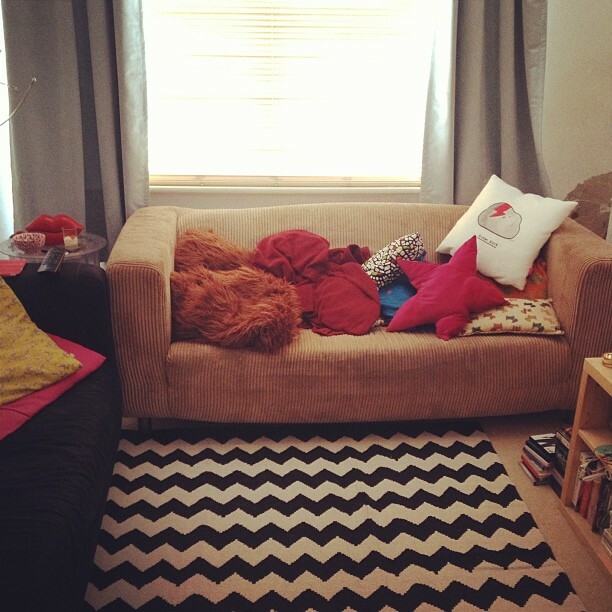 Also, I think it's clear from this photo that I need to add "buying cushions" to my list of addictions. The Soldier constantly fights a losing war against my battalion of cushions. The weather over the Bank Holiday weekend was absolutely glorious, at least in my little patch of South Manchester. 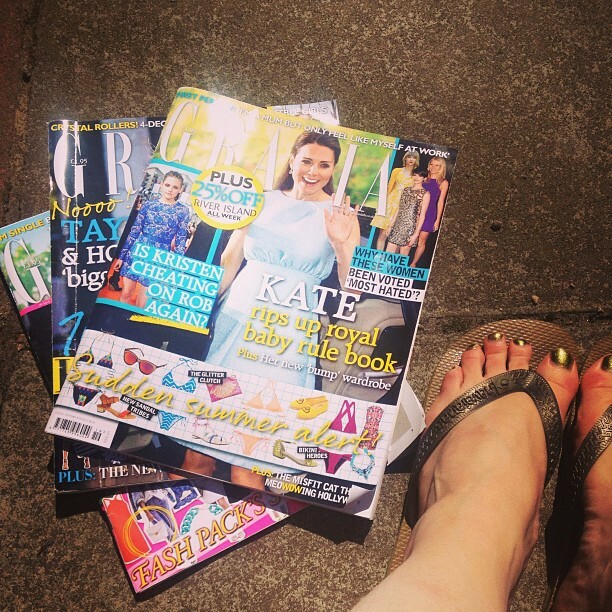 On Monday I slapped some Factor 30 on, poured myself a large iced coffee and sat in my teeny yard in the baking sunshine flipping through issues of Grazia that have been gathering dust on my dining room table. It's quite rare that I actually sit down and read (does reading magazines even count?) but it's something that I definitely need to make more time for. And here's me! On Saturday night I headed out to dinner with a couple of the girls from work. 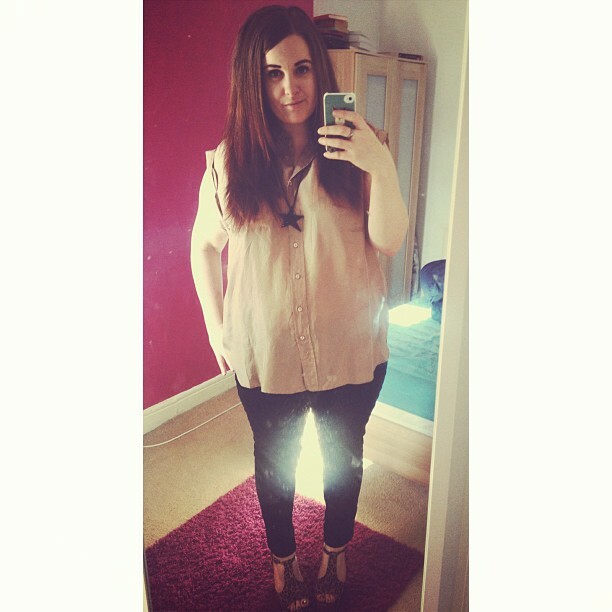 In honour of me actually being bothered to leave the house for the evening (I'm such a homebody these days) I even straightened my hair and wore super high heels. Shocking. It's been a while since I wore anything other than Converse or boots so my calves didn't know what had hit them the next day. Poor things.